I also said that for all of you bettors looking to place wagers on the PGA tour weekend action to steer clear of Dufner. Obviously Dufner was made aware of my claims, seeing that the 35-year-old won his first-ever PGA Tour event on Sunday in a playoff over Ernie Els at TPC Louisiana. Dufner likely caught wind of my criticism and used it as motivation to propel himself to victory for the first time. Ok maybe not, but one thing’s for sure, and that is that Dufner can no longer be called a choke artist on the weekend, after firing four solid rounds of golf at the Zurich Classic, and making birdie on the second playoff hole to defeat Els. 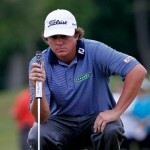 And now Dufner is looking like a good bet in just about every PGA Tour event in which he tees it up. He has routinely been in contention in 2012, and even dating back to last year when he lost in a playoff at the 2011 PGA Championship in Atlanta. But winning will surely make oddsmakers notice, especially in some of the big events coming up like the Players Championship in a couple of weeks, and then the U.S Open later in the year in June. Dufner is actually getting married this next week, and what a sweet feeling it must be coming off of this victory. This upcoming week on the PGA tour is one of the premiere events as well, with players descending upon Quail hollow in North Carolina for the playing of the Wells Fargo Championship. Among those in the field will be Tiger Woods, Phil Mickelson, Rory Mcilroy and more. Odds for the Wells Fargo Championship will be formulated early in the week, and we will be sure to bring them to you when they come out.